But you watch Netflix instead. But Netflix is so much more interesting. We all use Netflix to procrastinate (avoid hard work). What if we could watch Netflix without feeling guilty? Is it possible for Netflix to be productive? If you are an English learner, then yes! Read on to discover eight incredible Netflix TV series and movies to kick-start the most fun English class you have ever had. The next time your friends ask you what you did all weekend, you can say, “I watched 30 episodes of a show on Netflix” and be proud of it. Why Learn English with Netflix? Learning through methods you find interesting and fun, like watching Netflix, is the best way to stick to your language goals. Essentially, you will not get bored and give up halfway through. Plus, you are more likely to remember new words and sentence structures if they are associated with something that holds your attention. Watching English films and series on Netflix is especially helpful since Netflix has a never-ending stream of material for you. They are always adding new English titles to their website. What is more, unlike regular TV, Netflix makes every episode of a TV season available at once. That means you do not have to wait for new episodes each week. They also offer movies and shows in every genre, so there is something for everyone. You will gain exposure to a wide variety of vocabulary and will learn tons of colloquial speech, getting that much closer to speaking like a true anglophone. Additionally, Netflix almost always offers a variety of subtitle options. Beginners can put on subtitles in their native language, while more advanced learners can use English subtitles to improve spelling and reading while they watch. Netflix is an affordable option for learners, charging a small monthly fee for subscriptions, and chances are you probably already have a subscription. There are so many great Netflix titles out there, but I have narrowed it down to a list of eight captivating movies and TV series to get you started. Each of these recommendations is a Netflix Original, meaning it is available on Netflix in most countries around the world. Want to make sure that any video you watch is perfect for English learning? FluentU is a unique app just for language learners. Just like on Netflix, you get authentic English videos—like movie trailers, TV clips, inspiring speeches and more—but FluentU transforms them into personalized language lessons. Every video comes with interactive captions, flashcards, exercises, full transcripts and more so you actively learn English while you watch. The videos are conveniently organized by genre and learning level. It is the most fun (but effective) way to learn. 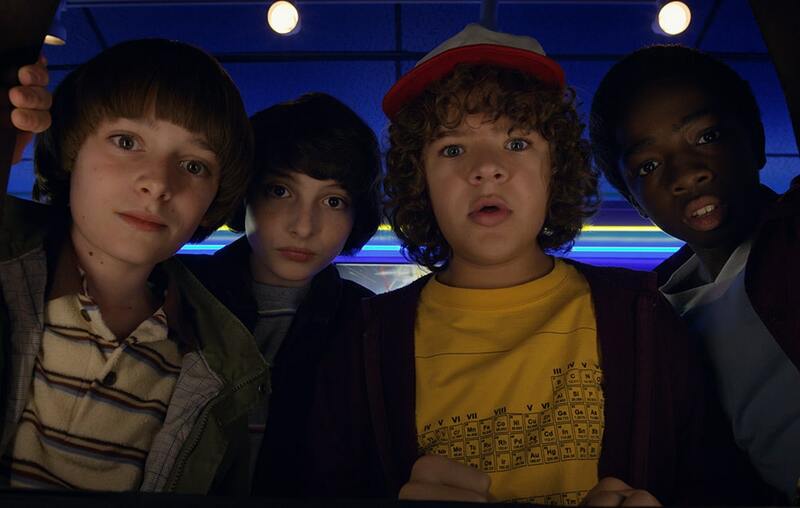 “Stranger Things” is the imaginative sci-fi series that began in 2016 and stars Winona Ryder, David Harbour and a large cast of talented young actors. The show takes place in the 1980s in Hawkins, Indiana. Hawkins is a small U.S. town situated next to a secret government facility, where the government has been conducting strange and dangerous experiments. A large part of the story focuses on the local teenagers who must uncover the unbelievable truth about their friend Will who has gone missing. You will fly through every episode full of new mysteries, suspense and colorful characters. The scenes are brimming with excitement, and there are just enough scary moments to make you jump. I recommend this series to those who like science fiction, horror and mystery shows. Those who either grew up in the 1980s or love 80s culture will also have a ton of fun with the costumes, music and props in the episodes. As for English language learners, you will pick up a lot of vocabulary having to do with science fiction, education and more. You will also learn a lot of slang, which the teens frequently use during the show. 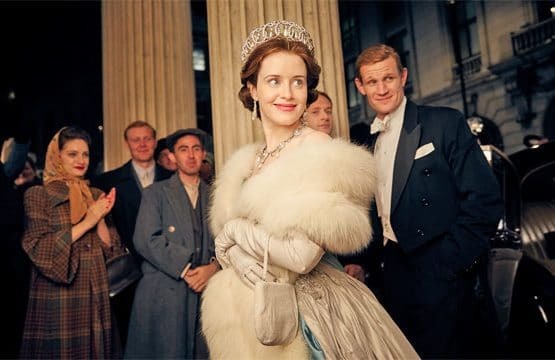 Since its debut in 2016, “The Crown” has quickly become a popular show and is perfect for those who like drama and history. The series stars Claire Foy, John Lithgow and Matt Smith who all give excellent performances. This show follows the captivating story of the reign of Queen Elizabeth II, which began in the 1940s. Viewers get to see history and culture—including fashion, technology and social issues—develop alongside the queen’s life. You will learn English vocabulary of all kinds, including many new historical words. This is also the perfect choice for learners interested in developing a British accent or learning formal, academic English. For those looking for a dark comedy, “A Series of Unfortunate Events” is perfect for you. 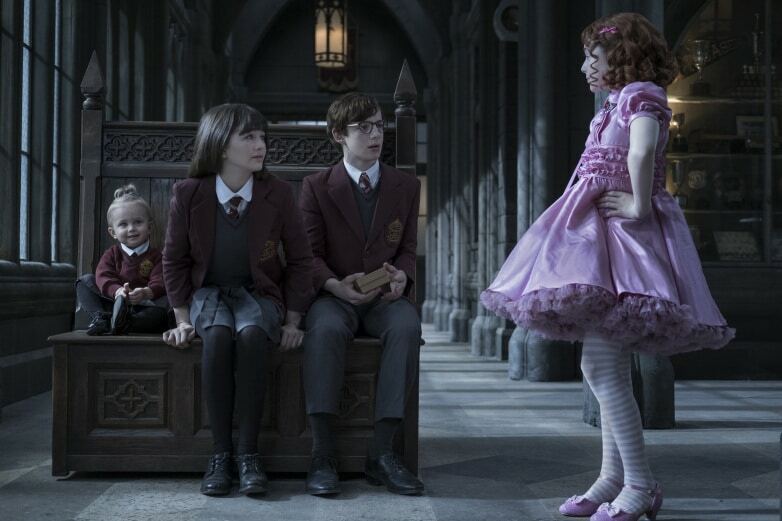 The show is based on the 13 book-series by Lemony Snicket, so if you like the show, you can also brush up on your reading skills by getting the books. The talented Neil Patrick Harris plays the evil Count Olaf, a crazy villain trying to steal the fortune of three orphans named Violet, Klaus and Sunny. The kids are incredibly smart and courageous and have to cope with the most absurd and dark situations. English learners will benefit from exposure to extremely complex vocabulary that is systematically defined within the show and books. Literally, the narrator or characters will mention a difficult word and then define it for the audience. Lovers of drama, adventure, absurdism and black humor will delight in this unique series. 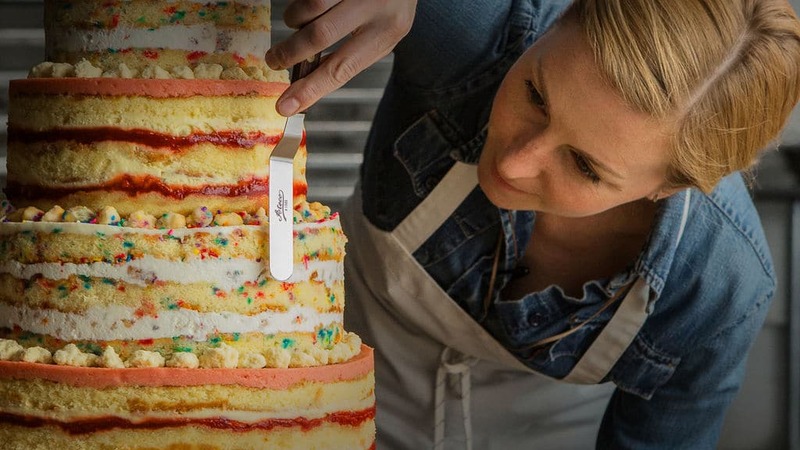 “Chef’s Table,” first released in 2015, is every foodie’s dream show. Each episode focuses on a different culinary genius from around the world. Viewers will get a glimpse into the lives and food creations of these famous chefs. The show was created by David Gelb and has been a huge success. This series is great for those who like documentaries or anything food-related, and learners will gain access to loads of good food and dining vocabulary. “Love” ran for three seasons from 2016 to 2018 and starred Gillian Jacobs and Paul Rust as the principal characters. The story follows that of nice-guy Gus and rebellious Mickey as they navigate the ups and downs of their modern relationship. Viewers get to see both of their perspectives in this real-life look at dating. It is a great series for people who like comedies and romance. What is more, the realistic characters and situations have received many positive reviews from top critics. Language learners can expect to get a lesson in the nuances of English humor and gain exposure to a wide range of vocabulary. Released in 2018, “The Guernsey Literary and Potato Peel Pie Society” is a rich emotional drama. The film encompasses romance, history and the power of reading. Actress Lily James plays a writer from London who discovers the secret behind the formation of a literary club on the island of Guernsey. The story takes place just after the German occupation of the island during World War II. This movie is an extremely moving period piece (fiction that depicts a historical era) that will capture your attention from the very beginning. Learners will get to listen to a variety of British accents. You even have an opportunity to practice reading alongside the show by purchasing the book on which the film is based. “Irreplaceable You” is a Netflix Original that was released in 2018. The film stars Gugu Mbatha-Raw, Michiel Huisman and Christopher Walken. The story follows Abbie, who has just been diagnosed with cancer. In order to take care of her fiancé, she decides to choose a girlfriend for him to date after she dies. This is the ultimate romance and drama, with many emotional scenes mixed with a bit of light-hearted comedic relief. There are many benefits for language learners when watching this film. For starters, all of the actors and actresses speak clearly and annunciate. Additionally, this is a nice film to expose you to the American accent and introduce you to medical vocabulary. 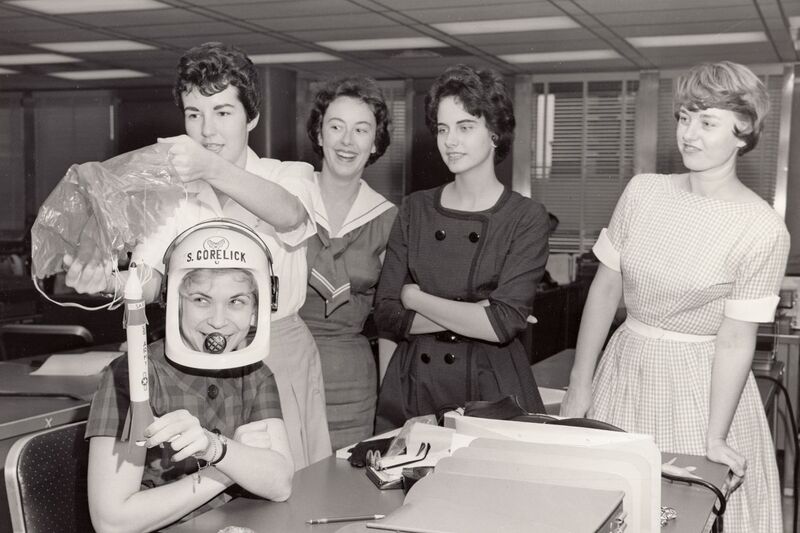 Released in 2018, “Mercury 13” is a documentary that reveals the true story of a group of women who were denied spaceflight in 1961 because of their gender. The movie deals with the unfair treatment of women during this time and includes interviews with the women who deserved to be a part of the space mission. Directed by Heather Walsh and David Sington, this film is great for those who like documentaries, stories about women’s rights and historical pieces. Plus, you will learn tons of vocabulary words about history, space and flight. Now it is time to butter some popcorn, grab a blanket, turn on your favorite series or movie and get ready for some super entertaining English lessons!